My character, Kaiju Eyezon, has proven to be the most popular of the characters I’ve created, so painting him (it) is always a crowd pleaser. This go around I decide to opt for a more lighter feel in my paint scheme .. I usually go for the darker, metallic look. Working on this figure, which stands about 10 inches tall and is cast in white vinyl is fun, but it’s got such a large surface area there’s a lot of paint that must be applied. Using Monster Kolor, I think i achieved the look I was going for. This color scheme actually harkens back to the first Kaiju Eyezon release …I didn’t go all crazy with metallic flakes every where, although they are present in some of the pearl colors. 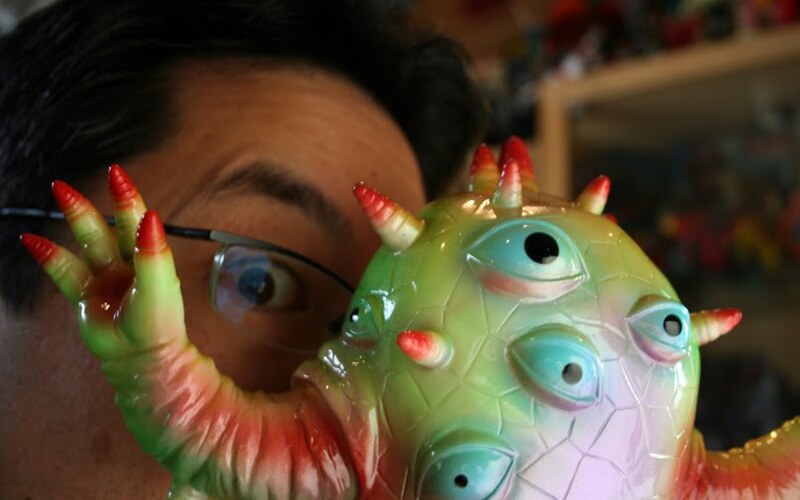 and here’s a short video of me spraying away 😉 Not too exciting really, but no one said being a Kaiju toy maker was all glitz and glamour .. sorry to burst your bubble. 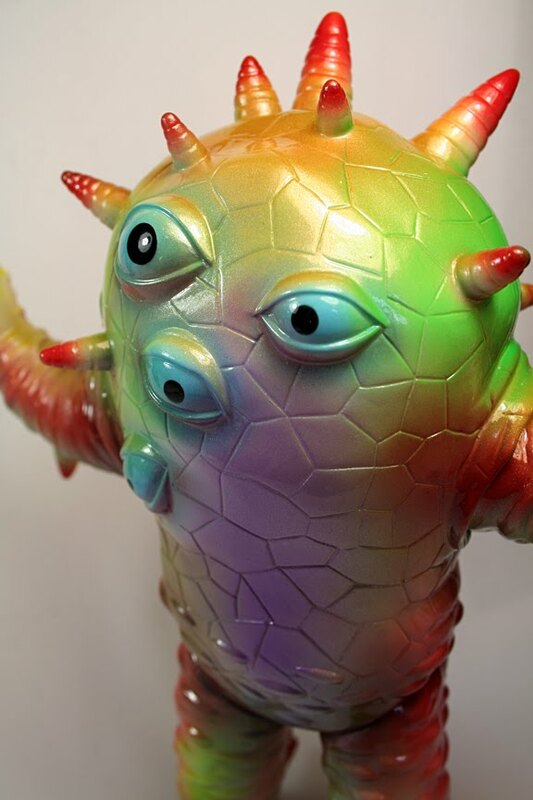 This version will be released via my Max Toy Club early next week, and if any are left I’ll post them to the Max Toy web store .. so check it, oh about mid week or so. Enjoy !